Are you seeing a gradual thinning of your mane on your scalp? If yes, then it may be because your body does not have enough iron because iron deficiency causes hair loss. Boosting your iron stores with iron-rich foods can save you the trouble from spending a fortune on expensive hair treatments. Try adding beans to your diet on a regular basis to meet your iron needs and keep your scalp healthy. A half-cup of beans provides you with 10% of the recommended daily intake of iron. You can also get an extra boost in the iron department by eating iron-fortified cereals, which usually contain between 25% and 100% of recommended daily values. Pair these cereals with acidic or citrus fruits such as half a cup of berries or grapefruit and an orange to get maximum advantage. 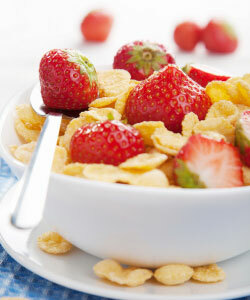 Acidic fruits help your body absorb iron from cereals easily. In addition, other iron-containing foods such as kale, broccoli, tomatoes, spinach and fenugreek leaves can aid your scalp to resurrect the roots and effectively control hair fall.